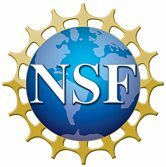 The Digital Harbor Foundation was recently awarded a research grant (Award Abstract #1723610) by the National Science Foundation EAGER program to explore expanding informal tech education for underrepresented communities using makerspaces. The research project will explore 3 different professional development models to expand the work of DHF in technology education for underrepresented youth. The project is limited to Maryland-based sites with pre-existing youth programs. At 4pm on Thursday, February 1st, we hosted a conference call that will go through the details of the program and the selection process. Click the button below if you would like to download a recording of the call. While this is optional, submitting by this date will guarantee feedback from DHF staff to help increase the overall strength of your application. You will then be able to revise and resubmit by March 31st. Please take advantage of the opportunity to talk with us about your application before the final deadline.